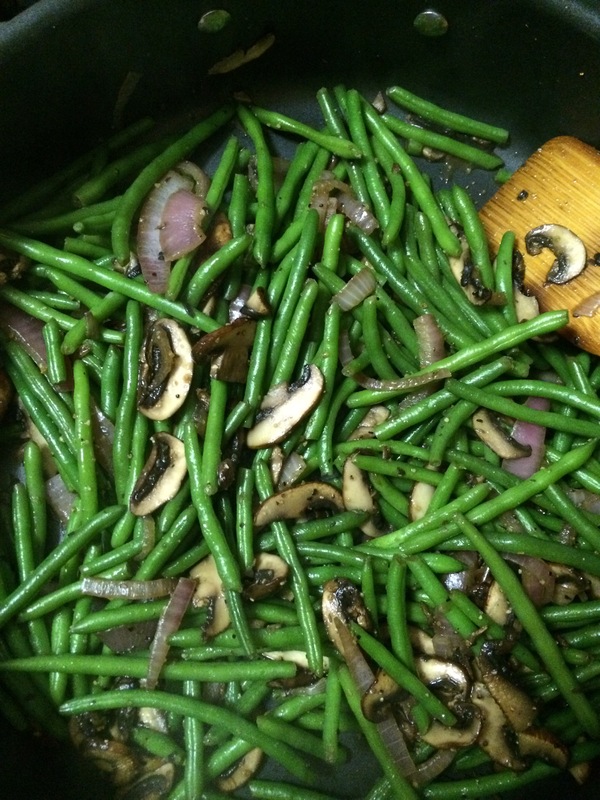 I love green beans and grew up with the ubiquitous green bean casserole at the holidays. I have looked for ways to have something with the same elements, but with out the goopy high sodium soups, and often over cooked, limp green beans. I also did not want the high fat fried onions on top. My tastes have changed and I want the fresh tastes of the vegetables to shine through. I think this dish accomplishes that goal, and takes only minutes to prepare. Drop green beans into about 2-3 inches of boiling water in a large deep skillet or wok, and cook for 5 minutes, remove green beans and place to the side on a plate. If you are prepping in advance they can be placed in a bowl of ice water to quickly chill and stop further cooking. Pour water out of skillet, and dry with a paper towel. 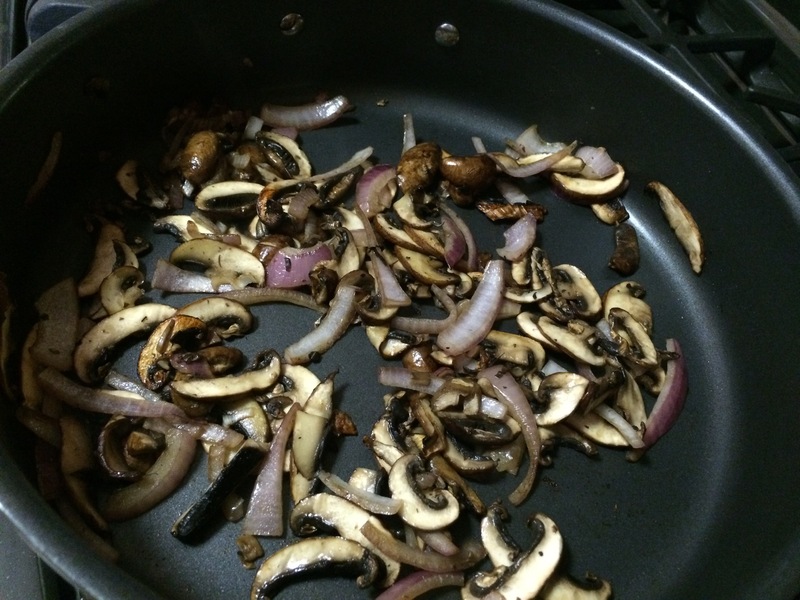 Place olive oil into skillet over medium high heat and when it is hot add onions and mushrooms, stir around to get coated a bit in the oil and cook for about 5-8 minutes until mushrooms and onions are soft and lightly browned. Return green beans to skillet, add broth, lemon pepper and salt to taste, cover with a tight fitting lid, and cook over high heat for another 3-5 minutes until all is hot and green beans are tender but still brightly colored. note, you may use a 1 lb bag of frozen green beans that have been completely thawed. if you do, omit the initial boiling. If I do use frozen beans, I like the very thin green beans from Trader Joes or Aldi. They taste very fresh this way, are high quality and visually attractive. ← Welcome to My Kitchen! Holly on Welcome to My Kitchen!